The Duston Neighbourhood Plan has been produced by the Neighbourhood Plan Steering Group which is made up of Duston Parish Council members and people from the local community. 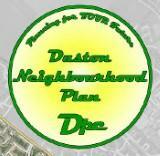 The Neighbourhood Plan contains a vision of how Duston will be by 2029, some objectives and a set of policies. A referendum relating to the adoption of the Duston Neighbourhood Plan was held on 5th November 2015. The Duston Neighbourhood Plan Referendum was held on 5 November 2015 when 85.6% of the votes were 'YES'.